Are you ready to get in on the action. LoDo is thriving, growing, and becoming the center of all things in downtown Denver. Streetcar Stables is right in the middle of it all. This is the place to live if you love the hustle and bustle of the city. Surrounded by great restaurants and entertainment there is never a dull moment. In addition, you’re right across from Union Station so you can quickly get to any part of the city or jump on the Train to the Plane for a quick get-away or easy access for business trips. If location is everything, this is the place to be. The Streetcar Stables building was built in 1882 and converted to residences in 1994. This historic building was first owned by the Denver City Railway Co. to store horses and streetcars. 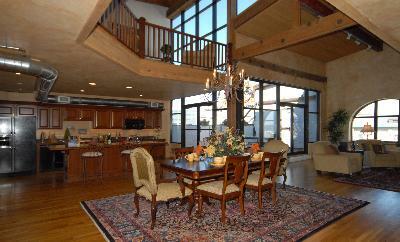 Today, the architecture is a must see, featuring exposed brick and heavy timber beams. Renovation was done very mindfully. The building’s original facade was left intact and it still retains much of its original nature. Residents love its true warehouse loft feel and ambiance. 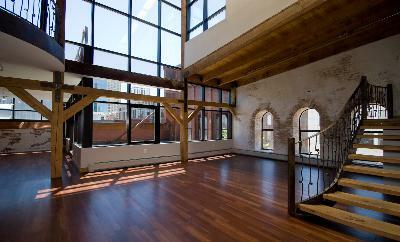 These lofts are an incredible mix of modern features and historic elements. The 4th floor units are amazing with the addition of a mezzanine level that provides these units with spacious balconies. Some have wonderfully arched windows, while others feature large square or even floor to ceiling windows which are rare to find in historic conversions. Views range from downtown Denver to Union Station and the Rocky Mountains. 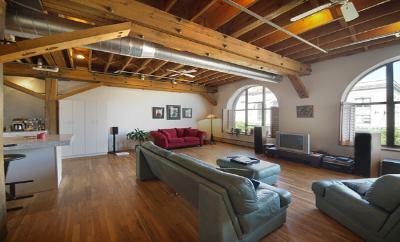 The building has 43 wonderful lofts, each with its own unique style and a variety of finishes. These are definitely not your cookie-cutter condominium residences. You will find features such as a stone fireplace, a garden area, jet action tub, vaulted ceilings, hard wood floors, walk-in closets, and of course a historic feel. Streetcar Stables lofts also has its own retail space, restaurants, and other amenities for those days when you want to stay at home. 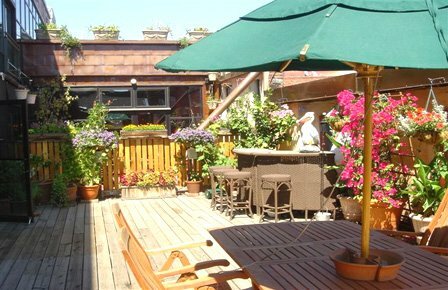 Secured garage parking is available for residents as well as a common roof top deck. 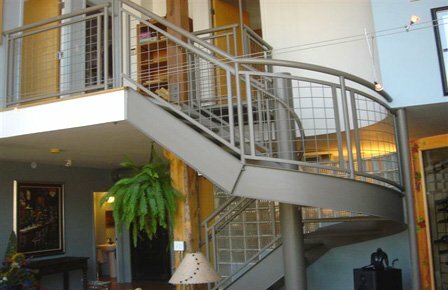 One to three bedroom lofts are available ranging from 1,364 to 3,149 square feet. The advantage to living in LoDo is that there is such a wide variety of things to do that are just a short walk away. Enjoy the close by restaurants, shops, pubs and more. Living in LoDo offers you the best of Denver urban living. From the fantastic Union Station Farmers’ Market to yoga, bars to dance clubs, fine dining to bistro, you’ll find exactly what you’ve been craving. 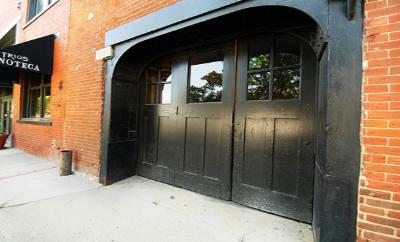 Like most downtown Denver warehouse lofts, Streetcar Stables is a highly sought after location. 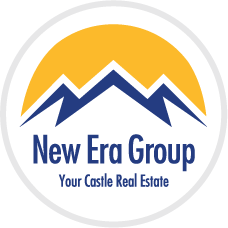 If you’re interested in finding out more or want a private tour, call us today at 303-991-9878 or contact us by using the button below. We also invite you to check out our LoDo Blog to discover more about the area.